Holden Racing Team boss Adrian Burgess was not bothered by his drivers’ close racing yesterday at Albert Park in the hard-fought second race. A lot of the focus was on the Triple Eight cars at the front, but the red HRT cars also battled closely with James Courtney and Garth Tander making a race of it in the not-for-points dash. Courtney and Tander raced door-to-door on a number of occasions last year – including a high profile drama at Winton – but Burgess said this one was nothing to fuss about. “For us there weren’t any issues – people have talked about our issues in the past but that’s when they’re actually leaving the circuit,” he told v8supercars.com. “When they’re on the circuit and racing hard, that’s good, that’s what we want. For me it wasn’t a problem. They got out the car and they both went up laughing and smiling with each other. 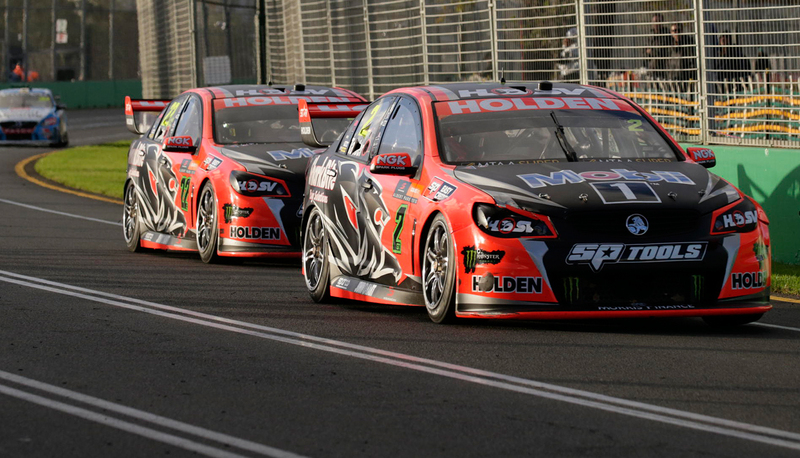 HRT is focussed on moving forward, with James Courtney praising off-season changes after winning the second race at the Clipsal 500. Burgess says he won’t be telling the drivers to move over for one another – the reason he has two former champs in the team is to have them battling at the front. “It was good to see them racing hard and don’t expect either of them to be moving out of the way at this point of the year. We’re not going to sit there and get on the phone and tell one to get out the way, they’re both free to race,” he said. 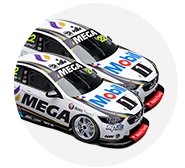 The two HRT cars start from sixth and seventh today, with Tander just ahead after making up an impressive nine places in the first race and maintaining position in the second. Coming into this event, neither HRT or Triple Eight Race Engineering had won a race at Albert Park since 2011. Triple Eight broke the hoodoo yesterday with Shane van Gisbergen winning both races – can HRT follow suit today?